Gina Pelli was born in Deruta in 1963. 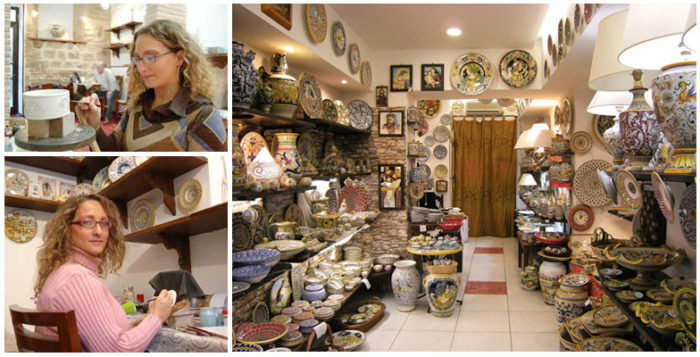 From a young age she became interested in the art of ceramics (maiolica). Gina achieved diplomas from the Art Institute of Deruta and from the Academy of Fine Arts in Perugia. Over the years she refined her technique and style, broadening her skills by working closely with some of the great Masters of Deruta, with the help of her experienced parents and other qualified painters. Her style ranges from reworking classics to more modern inspirations creating original shapes and forms. Together with her husband, Ricciarelli Mauro, she opened her shop in Deruta in 2000 and in 2016 the shop relocated to Spoleto, city of “the Festival of the Two Worlds” (Festival dei Due Mondi), where it found great success. 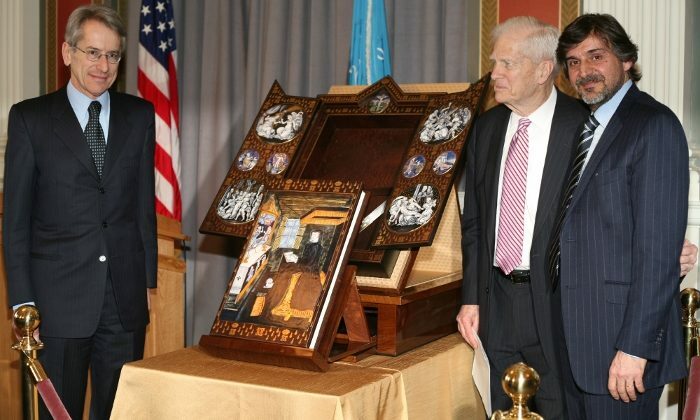 In 2010 Gina Pelli was commissioned by FMR ART’E’ to handcraft 10 tiles for the cover of the Triptych on Catherine de’ Medici, and only 10 copies of this collection were made, one of which is part of the collection in the Library of Congress in Washington. Watch here below the video of Catherine de’ Medici.